I wish to purchase AVG Antivirus for my company’s PC, which version should I purchase ? For commercial usage, you can go for AVG Antivirus Business Edition or AVG Internet Security Business Edition. What is the difference within AVG Antivirus and Internet Security ? AVG Internet Security has all the features of AVG Antivirus and on top of that it offer additional Email Security and Spam Control. The additional protection will prevent you from accidentally given up your login information, credit cards information via malicious phishing links. Can I Renew my AVG License 1 month before the expiry date ? Yes you can. All that you to do is to provide us your current AVG License Key and will be able to renew it for you. The renewed license will extend your current license by either 1 year or 2 years or 3 years depending on the number of years you are renewing. You will not loose a single day of your license tenure. After I renew my AVG License, will the license be automatically extended ? After we renew your AVG License, we will email you a new AVG license key which you need to use to re-activate your license to extend the AVG . After I make payment for the AVG Renewal, how soon can I expect to receive the new key ? You will receive the new key within 24 hours if you make renewal during working days. When I purchase AVG Internet Security Online, do I get to download the latest version ? 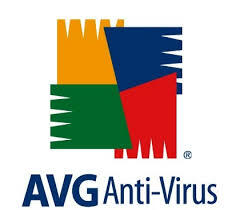 AVG Internet Security and Antivirus are updated daily and after you purchase, we will email you the software key that will work with the latest version of AVG software from AVG main site. When I purchase a new license, will you send me a CD media ? No. You will need to download the latest version from AVG Web Site. What is AVG Remote Admin ? AVG Remote Admin is a remote administration console that allow Administrator to install AVG from one single machine to other machine across the network. It also allow the Administrator to manage their AVG scanning and update from this machine. Read more >> . AVG Remote Admin is free for download and it only works with the Business Edition of AVG software. I have 3 PCs at home and I wish to purchase AVG Antivirus. Which one do you recommend ? You can opt for AVG Ultimate that consist of Antivirus and TuneUp and support unlimited devices at very attractive rate for 1 & 2 Years License. If you have question which is not listed on the AVG FAQ above, please email them to use and we will reply accordingly.